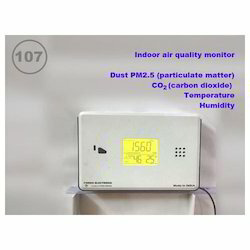 Manufacturer of a wide range of products which include co2 monitor, dust monitor, indoor air quality monitor, muti biometric access control system, voc monitor and hand held power quality analyzer. 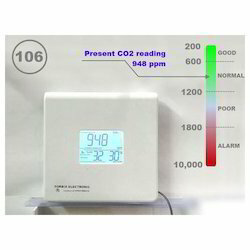 Our company has gained name and fame in presenting CO2 Monitor. 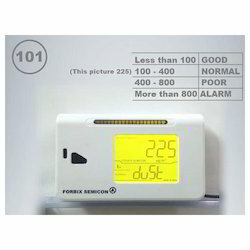 We bring forth our vast industrial experience and expertise in this business, instrumental in providing Dust Monitor. We use XML encrypted format over web and support https. 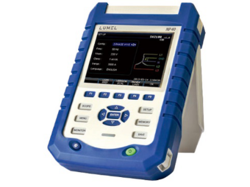 NP40 is the professional device to analyse the power system quality, supply the harmonics analysis and power quality data analysis, also provide big memory for the data storage, which is used to make the long term logger measuring to power system. 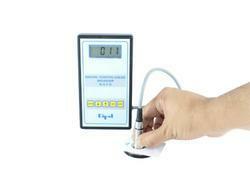 Coating Thickness Gauge is an instrument for making accurate nondestructive Measurement of Non-magnetic Coating on Magnetic Metals. It is light in weight, compact and portable. It consumes less power since it incorporates integrated circuits and solid state devices. Plating - Gold, Copper, Tin, Chromium, Lead, etc. Lining - Resin, Rubber, Glass, etc. 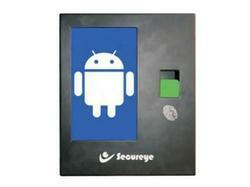 Wireless token display systemWireless token display system is a solution for consultants to call customers waiting outside. It is a simple yet effective solution. The unit works on latest wireless technology. Doctor / consultant in the room has a keypad dialler with display. Outside his room is the token display. Press desired number on the keypad and then press call. The same number shows on the receiver display outside the room. 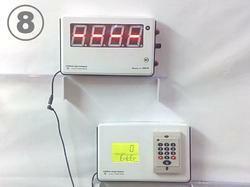 Automatic increment and decrement facility is also available at the keypad. The token display is power supply operated. 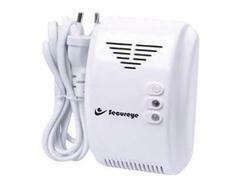 220VAC to 12VDC adapter converter supplied alongwith the package. 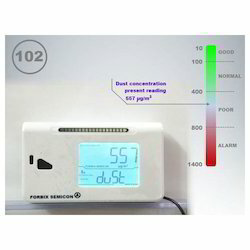 Owing to the wide experience in this domain, we are instrumental in offering Air Monitor to our clients. A versatile and cutting-edge video conferencing solution has never been more attainable for small and medium businesses. The GVC3202 brings the powerful benefits of an immersive video conferencing environment at an affordable price. Its stunning display, loaded-features and simple user interface make this device the perfect selection for small and medium businesses. The GVC3202 is a revolutionary video conferencing system that supports an interactive and immersive video conferencing environment to increase meeting collaboration and productivity. The SIP-based GVC3202 is compatible with any 3rd party SIP-based or H.323 video conferencing platform. Additionally, its built-in MCU bridges multiple video conferencing platforms such as Skype, Google Hangouts and many others. Additionally, since the GVC3202 is based on an AndroidTM 4.4 operating system it offers access to applications in the Google Play Store. Users will elevate their experience with its 1080p Full-HD video, up to 3-way video conferences, 2 monitor outputs, screen-sharing capabilities, and much more. 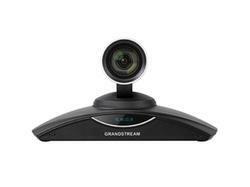 The GVC series supports Grandstream’s IPVideoTalk Video and Web Conferencing platform. This paid-subscription based service allows users to turn any meeting hosted on any GVC device into an online meeting that can be joined seamlessly from a web browser or GVC. Turn any physical room into a virtual, online meeting place to offer your customers the tools they need to be successful, no matter where they are. An ideal conference solution that delivers a modern design paired with HD audio and a suite of productivity-focused features. The Android-based GAC2500 offers access to features and functionality which is not traditionally found in conference phones. The GAC2500 is designed to transform your business conferencing experience through its immersive audio conferencing environment and suite of advanced features. 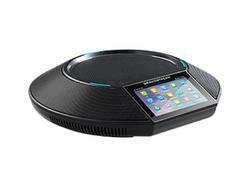 Redefining audio conferencing, the GAC’s 6 lines, Wi-Fi and Bluetooth compatibility, HD Audio, Gigabit network ports and Android operating system with touch screen enhances the way users will meet and work together. Easily connect any time, using the GAC’s 7-way conference bridge. the GAC supports a productive experience with the GAC2500’s call scheduler, AndroidTM operating system and Google Play Store access. 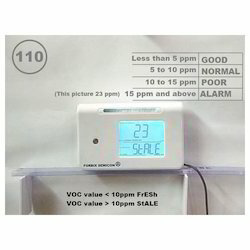 Looking for Monitoring System ?